A lovely salad for lunch or possibly a special dinner. Great spring flavors await you. 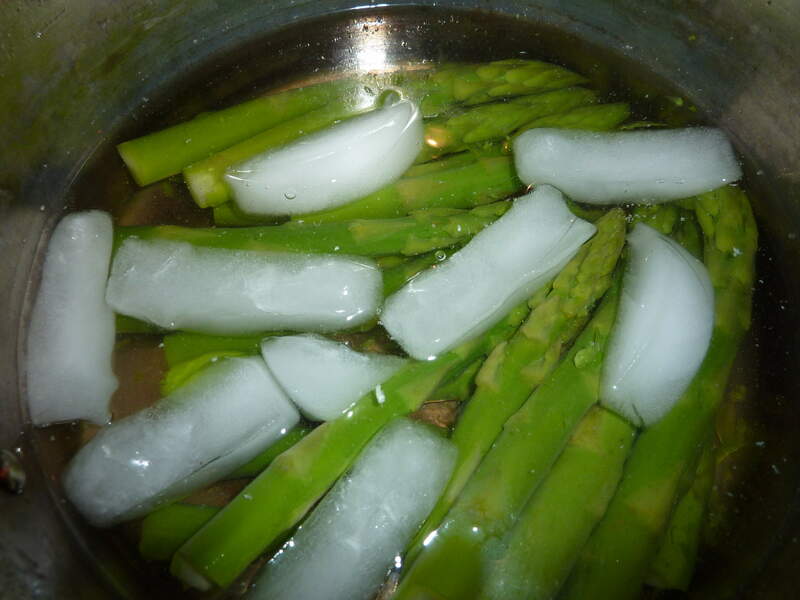 If you would like to find more glorious recipes for the wonderful season of asparagus please visit www.awaytogarden. com and find many tips on growing asparagus and plenty of recipes from the contributors of “Spring Fling”. Add all ingredients in a bowl and whisk thoroughly. 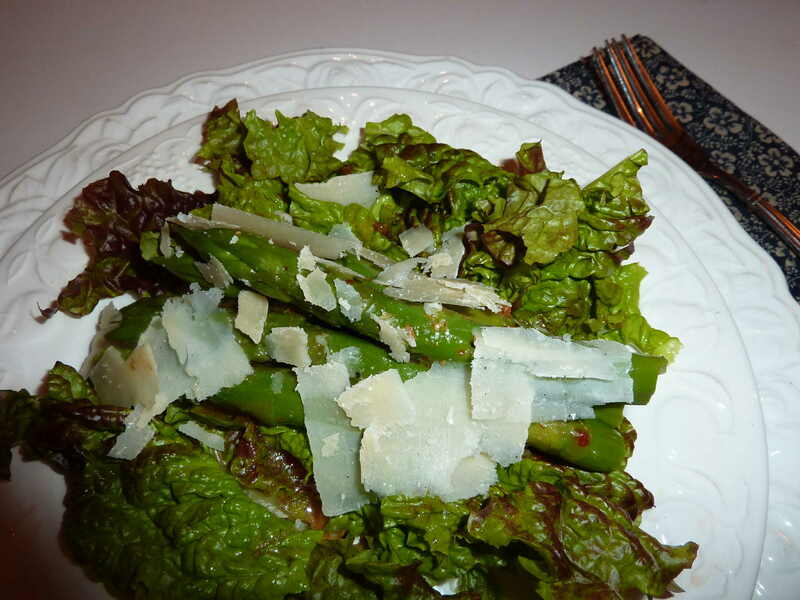 Plate the lettuce and asparagus, add the vinaigrette and add some shaved parmesan.